Supreme Court Says Montana Cannot Ignore 'Citizens United' Ruling : It's All Politics The justices say a state law cannot supersede its 2010 Citizens United ruling, which let corporations deploy their money to help or attack specific candidates. Montana had argued that a history of corporate-financed corruption in state government should let tough state laws remain in force. 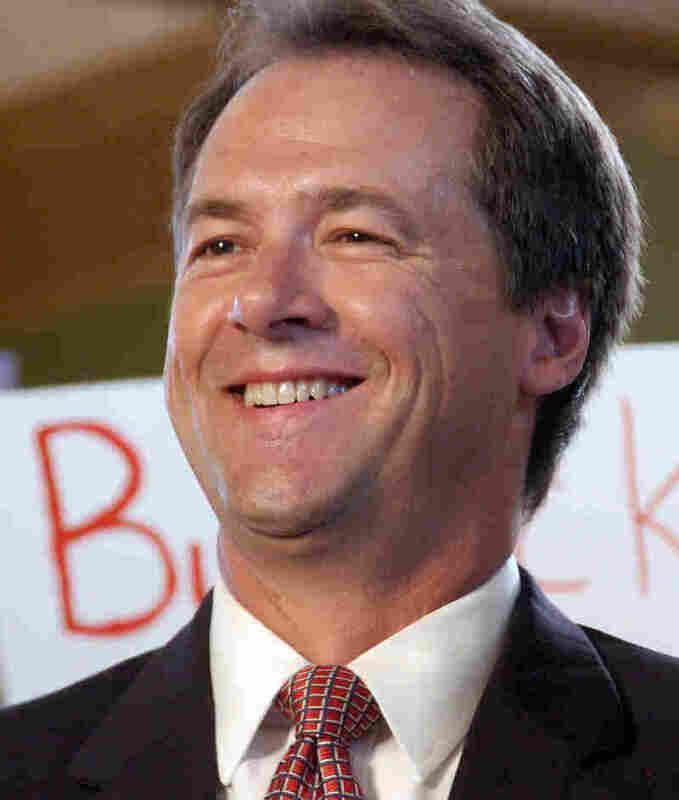 Montana Attorney General Steve Bullock sought to prevent the U.S. Supreme Court's 2010 Citizens United decision from being used to strike down a state law restricting corporate campaign spending. On Monday, the Supreme Court rejected Bullock's argument, holding that "there can be no serious doubt" that Citizens United applies to Montana law. The state of Montana has lost a closely watched bid to challenge Citizens United, the 2010 Supreme Court ruling that lets corporations deploy their money to help or attack specific candidates. Citizens United dramatically loosened the restraints on corporate involvement in political campaigns. It also set strict new limits on what's considered "corruption or the appearance of corruption" when it comes to restricting money in politics. After Citizens United, statutes on corporate money fell in many other states. But not in Montana. There, the state's high court ruled that a flat ban on corporate political spending was justified, based on Montana's history of extensive, corporate-financed corruption in state government, back in the decades around the turn of the 20th century. The U.S. Supreme Court wasn't interested in that history. In an unsigned opinion Monday, it said there can be "no serious doubt" that Citizens United applies in Montana. Four liberal justices dissented, saying Citizens United should be reconsidered. Many activists on the left would agree, pointing to the torrent of big money in this year's presidential campaign. Most of that money is made possible either by Citizens United or, more often, by a subsequent lower-court ruling known as SpeechNow.org, which is based on Citizens United. For critics of Citizens United, the Montana case represented a quick path to reopening the argument — although a highly risky one, considering that the makeup of the Supreme Court hasn't changed. Now, the critics face the possibility of two long campaigns: to restrict corporate politicking by constitutional amendment, or to wait for opportunities to rebalance the court as vacancies occur. Along the way, they can fight for more incremental changes to the now largely deregulated campaign finance system. It doesn't look like an easy journey.